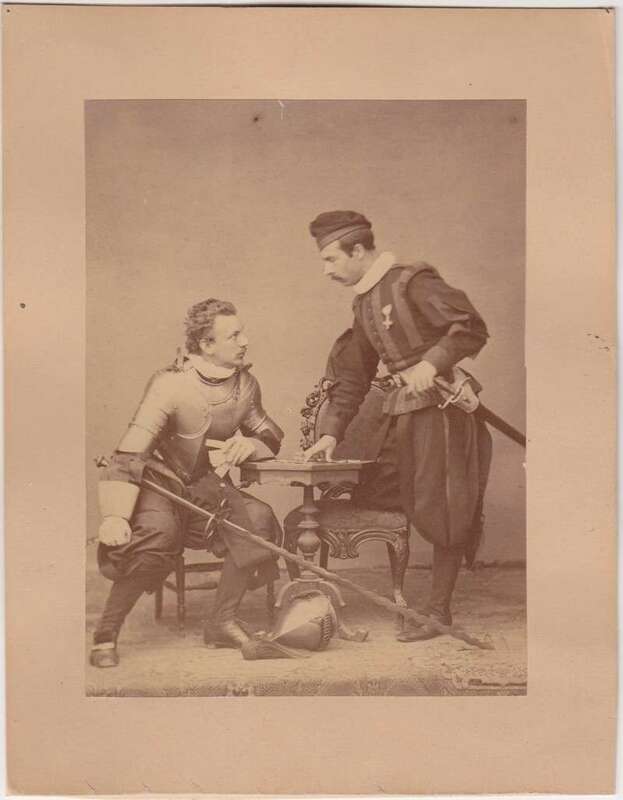 This is a very old photo from the 1870s or earlier of two Swiss Guardsmen posing for a fight over a card table. They are in their uniforms and wearing various pieces of armor as well. It is a very unique piece in a pose not often seen of Swiss Guards.